Amidst the near constant influx of digital imagery and advertisements that we face on a daily basis, finding stability in the modern world can be difficult. Instead, it can be much easier to hark back to a time before media saturation and product placement became the norm. Nostalgia is an extremely complex aspect of human emotion. It can be defined in several ways – a longing for the past, a sentimental recollection, a mixed feeling of happiness and sadness. Ultimately, nostalgia is a confluence of emotions provoked by distinct memories in our lives. It’s not simply a case of remembering the past. Nostalgia is far more immersive and, in one sense, escapist. Because of this, even in the most avant-garde contemporary art, nostalgia is often an underlying theme. 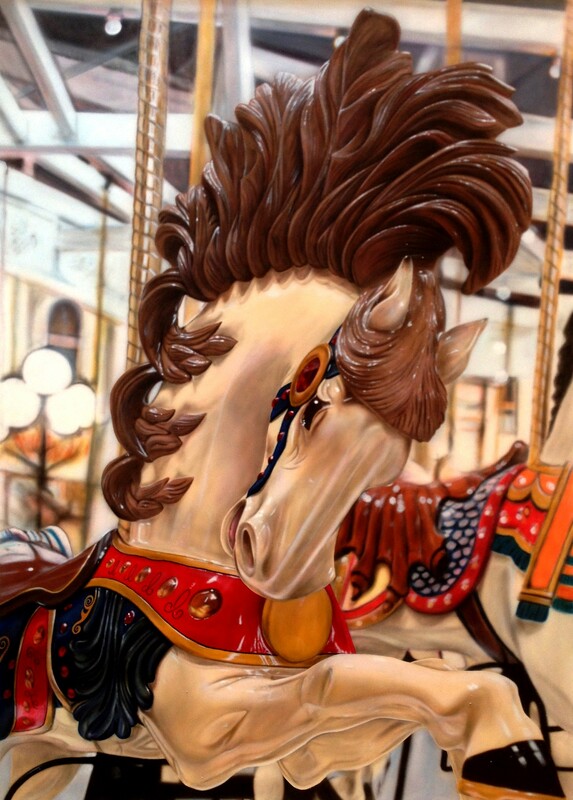 Agentinian artist Cesar Santander creates hyperrealistic paintings of vintage toys, carousels and memorabilia, transporting the viewer back to their childhood and stirring fond memories and fantasies. With little responsibility and awareness of the realities of life, childhood is often said to the happiest time of our lives. Themes of nostalgia in Santander’s exquisitely painted images therefore evoke feelings of joy, echoing the carefreeness we had in our youth. However, childhood in the 21st century has become unrecognisable. Children today are part of the digital generation surrounded by technology and the internet. Toys have been replaced by mobile phones and computer devices, thus exposing them to the masses of information available on the web. In this sense, Santander’s paintings pine for the innocence of youth, longing for a return to the days when children weren’t so quick to grow up. 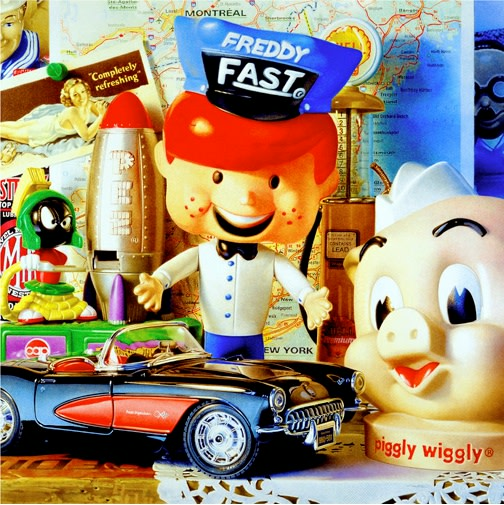 Similarly to Santander, Canadian artist Francois Chartier takes childhood memorabilia as his subject. 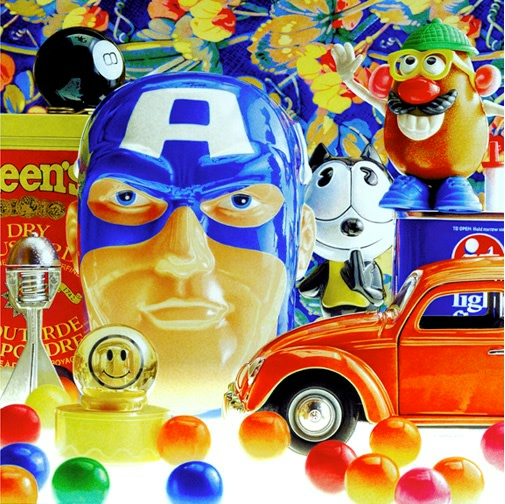 Using his unique airbrush technique, his larger-than-life compositions crowd together familiar characters such as Batman, Porky Pig and Mr Potato Head. Chartier’s paintings, often bathed in an ethereal light, evoke nostalgic joy and humour. According to Chartier, his goal is to capture viewers and make them look at something they know but at a different angle with smaller details revealed in their beauty and simplicity. From translucent glass of a jar of marbles to the shimmering surface of a toy car, Chartier examines reflective and transparent surfaces, conveying his sense of wonder and intrigue over them. The makes and models of cars that we see on the roads today don’t normally strike a chord of nostalgia, but the sighting of an automobile from yesteryear can instantly turn back the clocks in our minds. 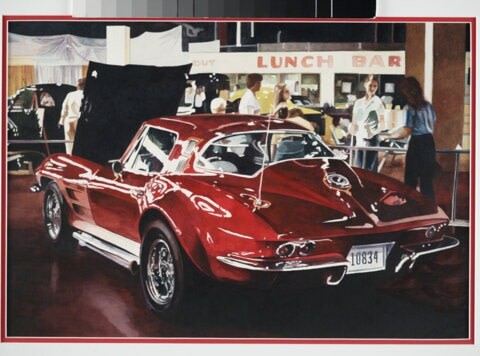 American artist Harold Zabady plays on this with his paintings of classic automobiles. Often, the real gold mine in capturing nostalgia falls within the mixing of the old and the new. For instance, the positioning of a historic vehicle in a modern environment. This underlines the fragility of nostalgia itself – what is nostalgic to one generation, becomes historic to the next. 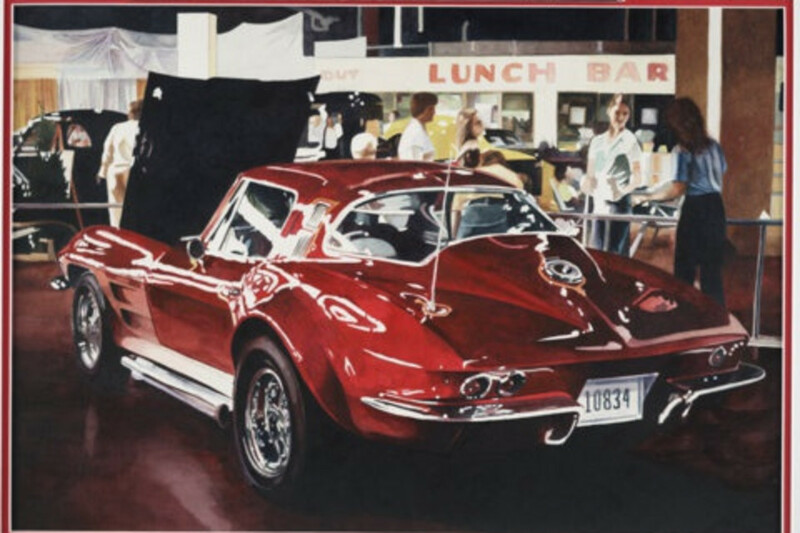 Zabady achieves this, painting his four-wheeled subjects as historic exhibits in a modern museum-like setting. The human mind seems to be hard-wired to relive the experiences of bygone eras. Nostalgia is inevitable and, as long as there is art, no matter how avant-garde a movement will be, nostalgic themes will be present.